My blog just reached 200K ++ pageviews 2 days ago and suree I'm really happy! I'll always improve my blog so everyone who reading my blog will enjoy more. ^^ So lately I become obsessed with 3CE product, I really want to try all 3CE products especially their lipstick collection n the face products that mostly makes your face look radiant and glowing. 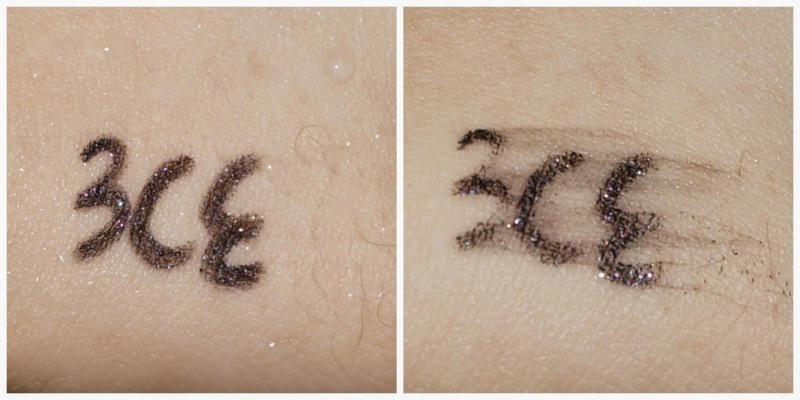 But this time, just let me show you one of their products, 3CE Creamy Waterproof Eyeliner #Zorro. The eyeliner inside has the same length with the box and I think the size is quite long. It looks like an eyebrow pencil with a long black cap. This also include a built-in sharpener that easily sharpen the eyeliner tip every time it becomes flat or round. 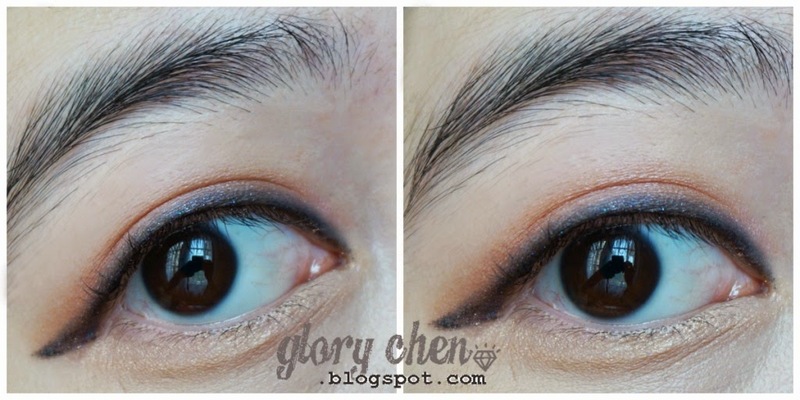 Just release the sharpener and put the eyeliner tip on it, then carefully sharpen it. If compared to liquid eyeliner, I must admit that I prefer it than this pencil-type eyeliner because the eyeliner tip is bigger and quite dull so a little bit hard to create a precise line. One thing that make me curious is the color, this is not a matte black color but a glitter black color! 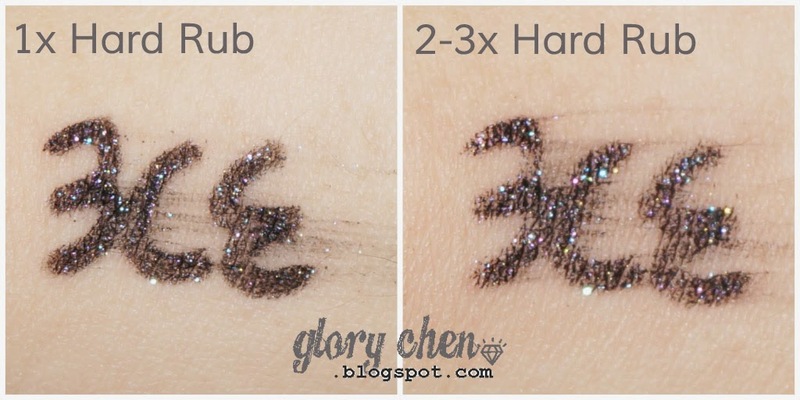 This is very recommended if you're bored with your plain black eyeliner and need some glitters instantly. lol. 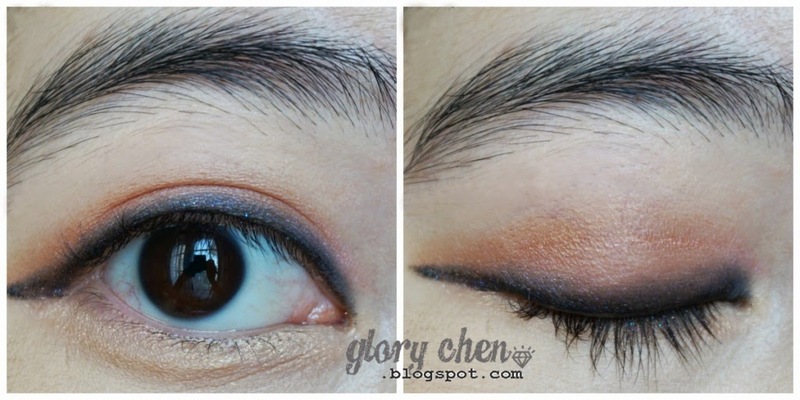 The eyeliner has a texture like the crayon pencil, it's creamy and very pigmented. 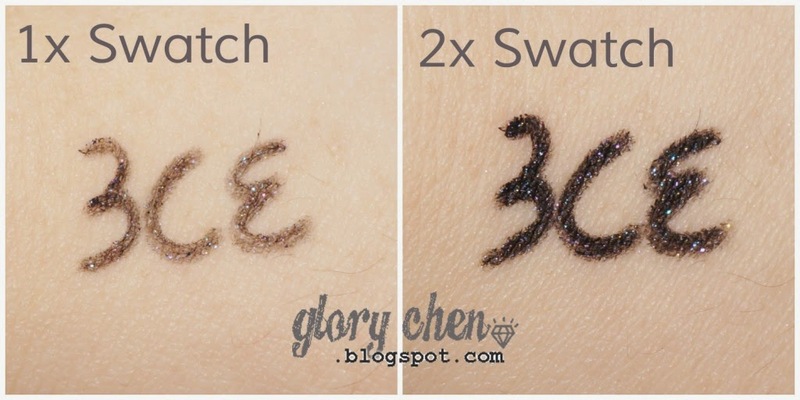 When you first apply it, the color still doesn't come out, it becomes bold and vivid after the second swatch. After let it dry about 1-2 minutes, then I tried to rub it hardly. I think this product works as it claims coz the color only fade a little just after I hardly rubbed it for a few times. Yes, it's water resistant! Don't compare this picture below to swatch picture's above coz I made a new swatch again and put it under running water about 2-3 minutes. The color still didn't change as if I swatch it before. Then I tried to rub it and yeah, this is exactly what happened... the eyeliner has no defense to water and rubbing 'attack' at once. But it's no a problem, just remember not to rub it if you under the rain. lol. I was wrong when I thought this would glide on my eyes easily because in fact I need to draw 6-7 times to achieve this eye liner look. This absolutely not as easy as I applied it on my hand, I found this eyeliner is quite hard to apply on my eyes and the color is very subtle. Wow! Are you a pro makeup artist? Love the way you applied the eyeliner!